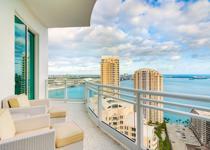 The Asia Brickell Key condo is one of the best known and desirable waterfront ultra-luxury condominiums in South Florida. 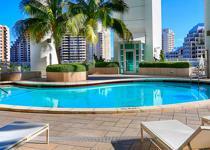 This property is located on Brickell Key in the district of Downtown Miami and offers one of the best boutique living experiences in the Miami Brickell area. This exclusive private island location boasts of shops and other high-end Miami condos, fine dining, art-accented bay walk, and the famous Mandarin Oriental Hotel, all located within Brickell Key. J. Scott Architecture creates an iconic architectural statement of verticality, along with a colonnaded terrace for the pool deck. Asia, with an abundance of green glass and a 483 Ft. height, rises 40 stories into the Brickell Key sky due to its spacious floor plans. Containing just 123 units, Asia Brickell Key features a striking lobby with a grand terrace overlooking the water, private elevators, touch screen lifestyle management technology, multiple pools, private fitness center with state-of-the-art machines and other satisfying amenities. 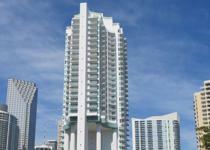 Asia Brickell Key tower has 36 luxury condo floors and a vast space for a comfortable and sophisticated lifestyle. 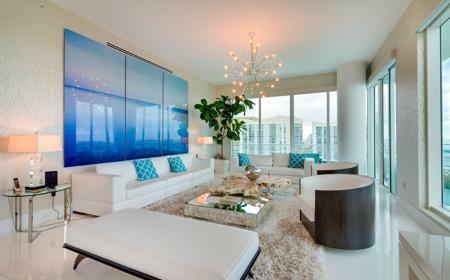 The residences enjoy private elevator access with a standard ceiling height of 12’ Ft. All condos feature high-end appliances and fixtures with an incredible view to the waters of Biscayne from the elegant green glass full-view windows. 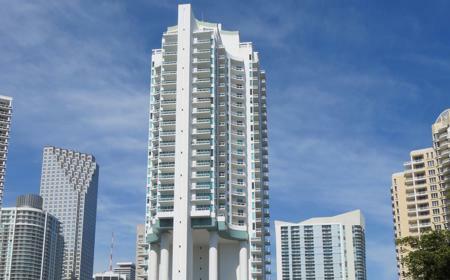 The luxury condominiums on exclusive Brickell Key and those that line Brickell Avenue provide an incomparable life of luxury to their residents.